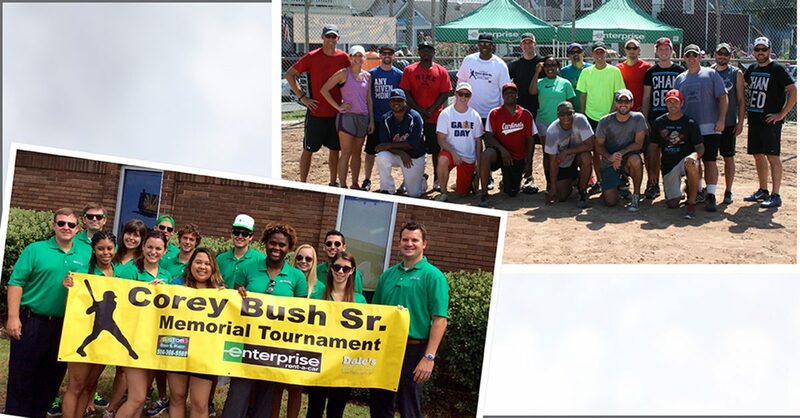 Enterprising People: Airport Facilities Director Randy K.
It’s never easy to lose a member of the family and Corey Bush Sr. was definitely a member of the Enterprise family. Corey had been a full-time service agent in Southern Louisiana for 14 years when he was tragically killed while interrupting a burglary in his home two weeks before Christmas. The tournament quickly became a very popular event. Three years later, it has raised more than $10,000 which has been placed in an account for Corey’s children.